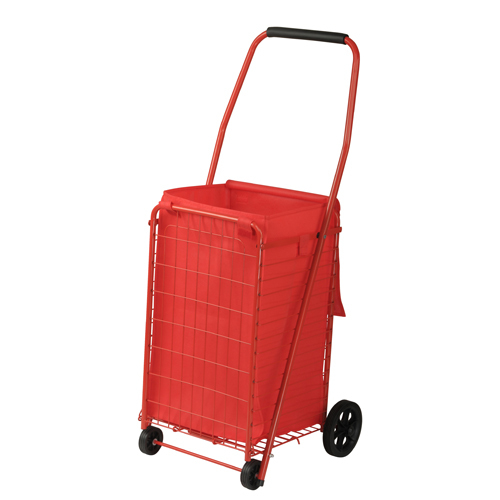 These convenient shopping carts feature four wheels for easy maneuverability and a red non-woven liner to protect items inside the cart. Large easy grip handle. 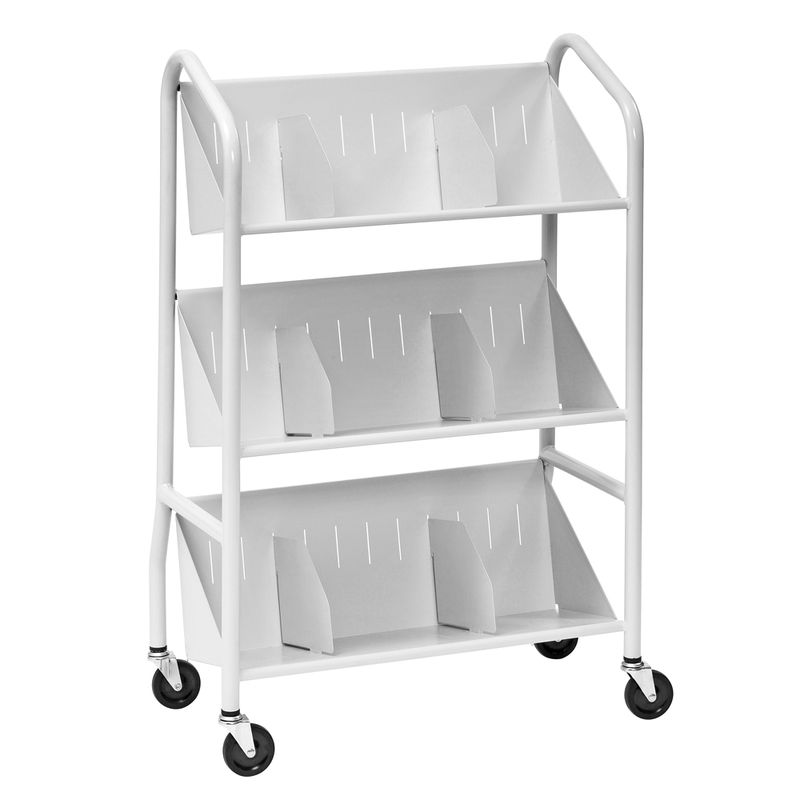 Folds for easy compact storage. Red powder coat finish. 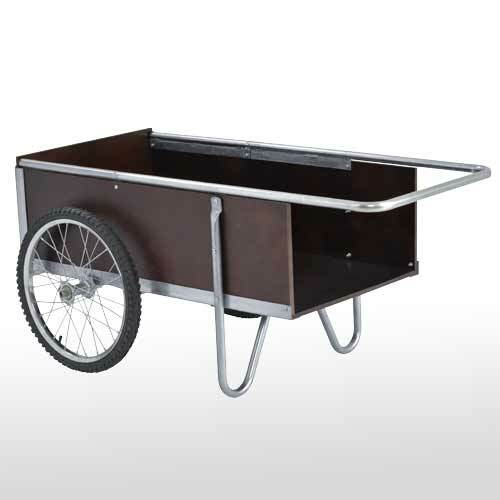 Sturdy galvanized steel frame with tough wooden bed and high panel sides to securely hold in cargo. 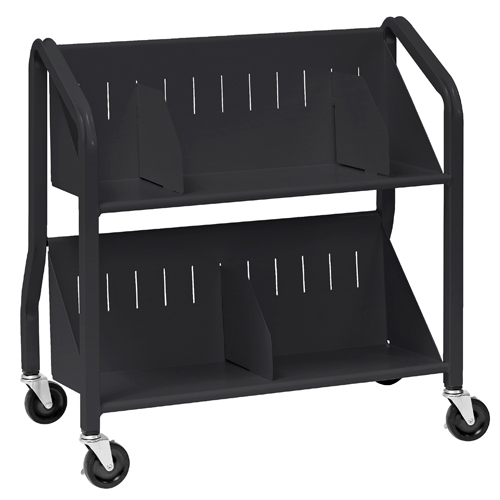 Removable rear panel for easy loading and unloading. The 6.5 cu. ft. bed size holds loads up to 300 lbs. 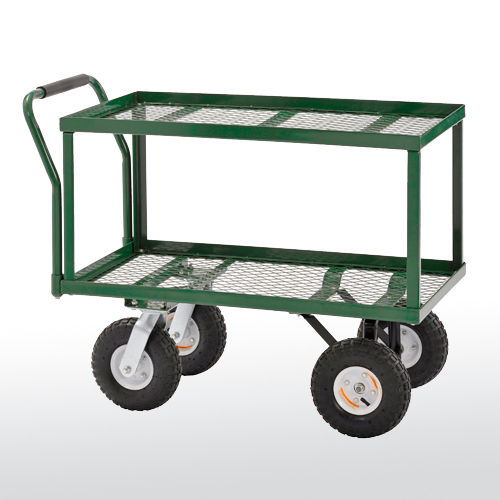 Large 20" pneumatic wheels can handle any terrain. 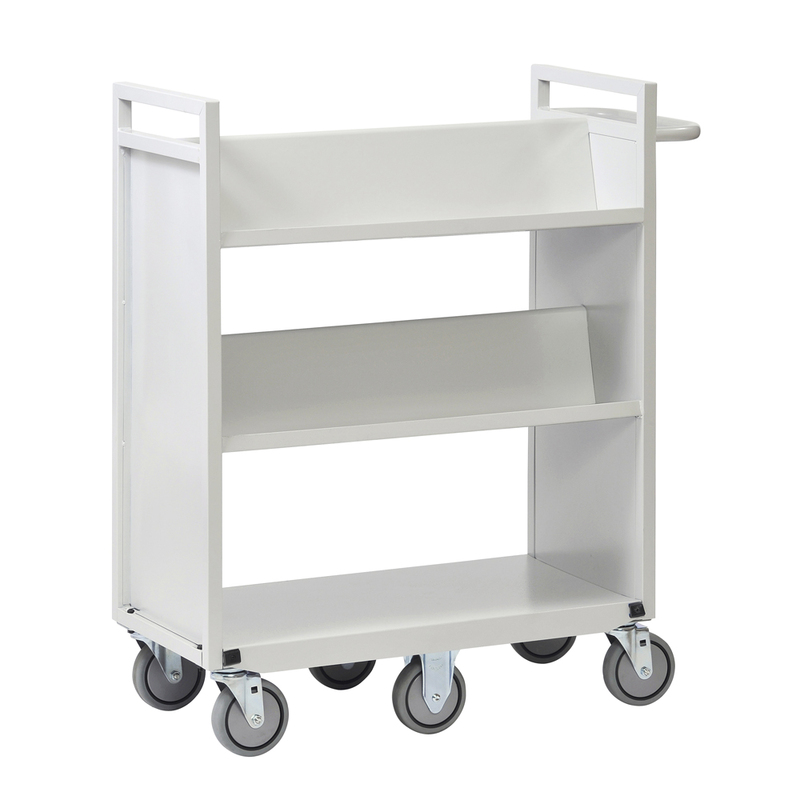 Large silver finish tubular handle for ease of movement. 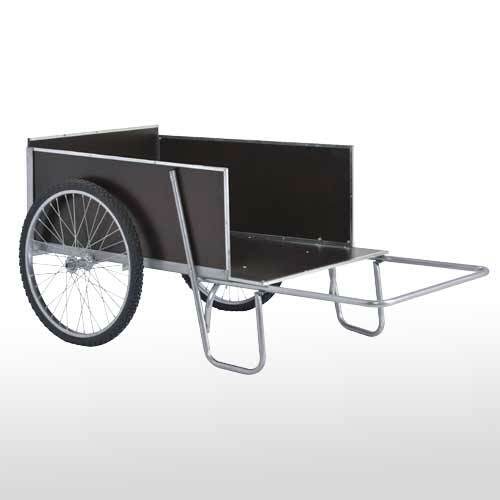 Bed size: 41"L x 23"W x 12"H.
Sturdy galvanized steel frame with tough wooden bed and high panel sides to securely hold in cargo. 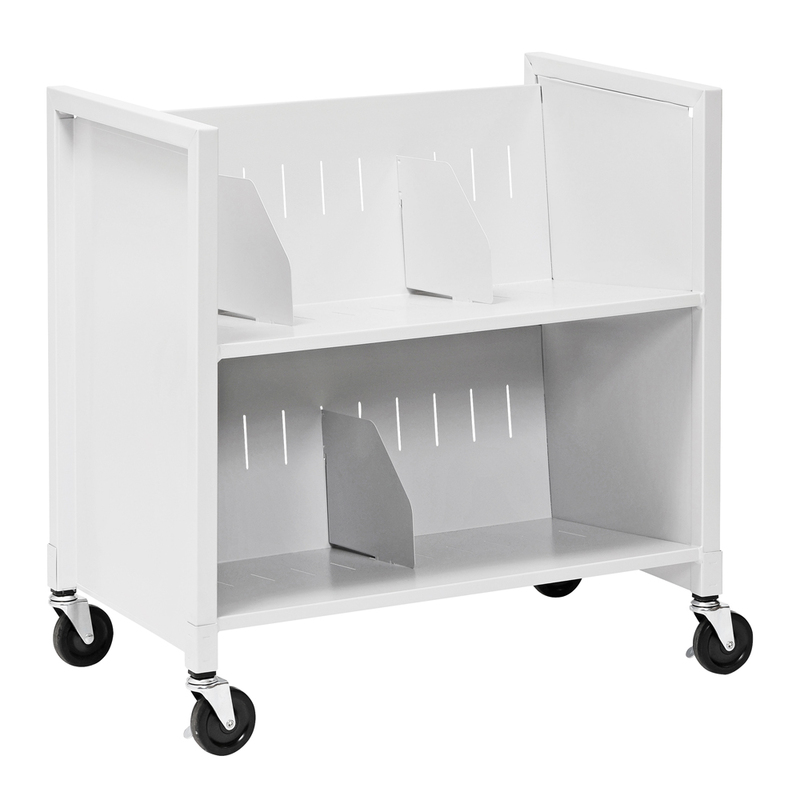 Removable rear panel for easy loading and unloading. The 13.6 cu. ft. bed size holds loads up to 400 lbs. 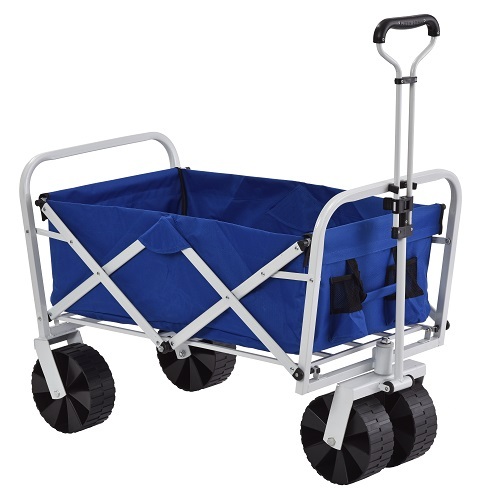 Large 26" pneumatic wheels can handle any terrain. 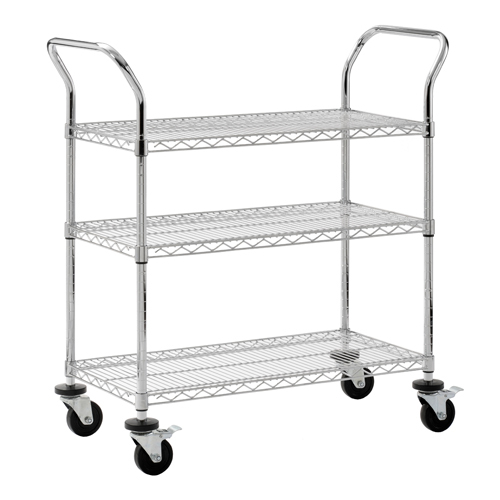 Large silver finish tubular handle for ease of movement. 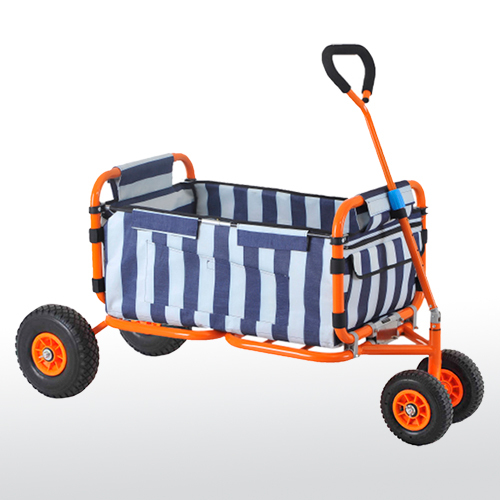 Bed size: 47.5"L x 31"W x 16"H.
Concealed full suspension roll-out drawer 16-1⁄2”D x 24”W x 2-1⁄2”H. Full recessed door pull. Two shelf spaces. 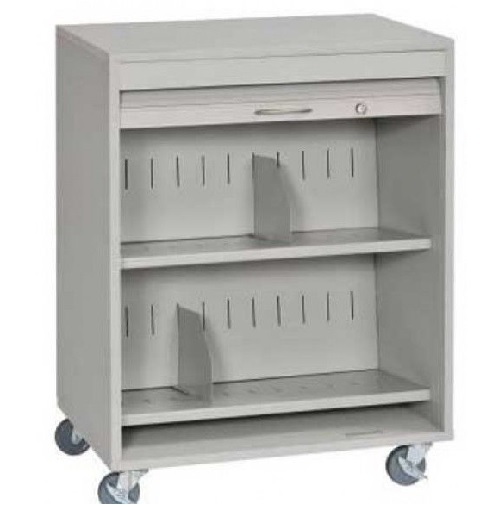 Laminated top surface medium gray color and cabinet powder coat dove gray. Shipped assembled. 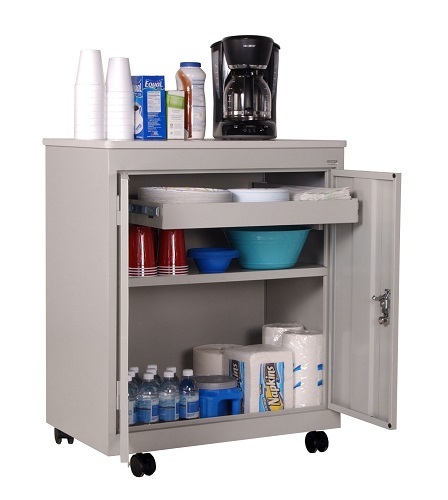 Convenient desk height, durable light gray laminate top, full recessed door pull, push button locking handle secures both doors, two storage areas, four casters–two locking, dove gray powder coat finish. 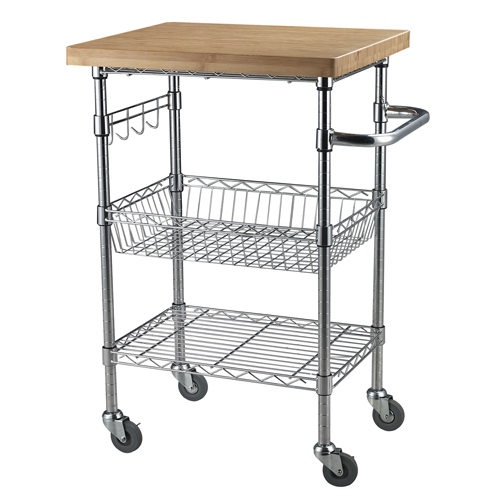 Shipped assembled except casters. 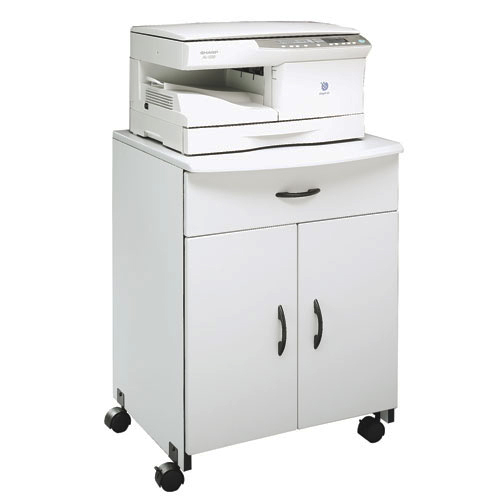 Store your printer and copier needs conveniently with this laser printer/copier stand. Double doors open to 2 adjustable shelves. Grey laminate finish. Four casters, two locking. 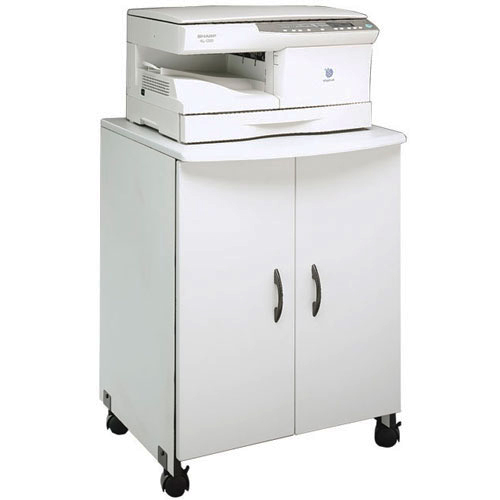 Store your printer and copier needs conveniently with this laser printer/copier stand. 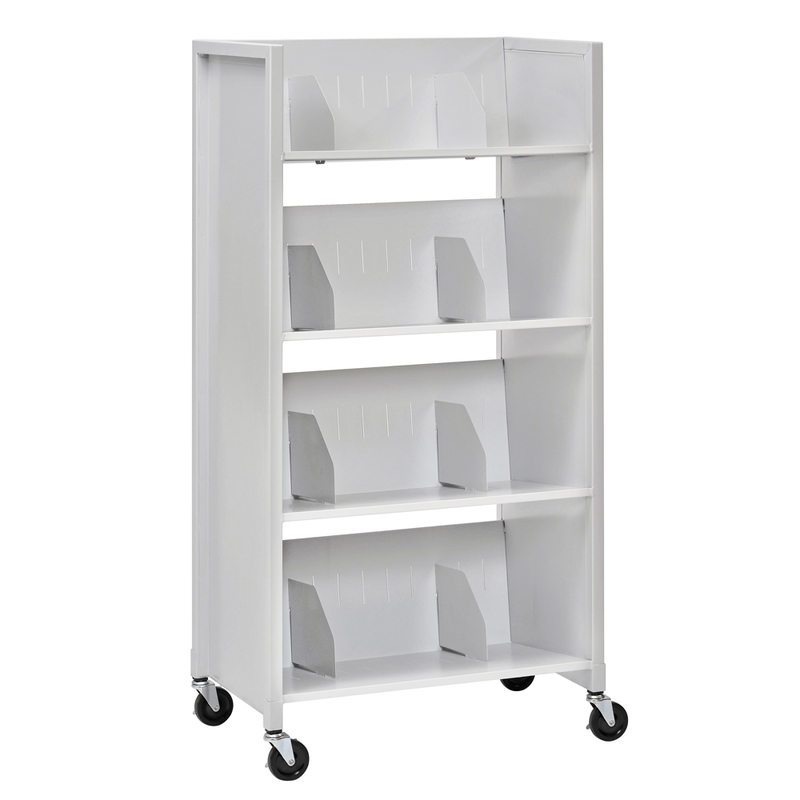 Double doors open to one adjustable shelf. Grey laminate finish. Four casters, two locking. Offers the privacy physicians need to comply with HIPAA regulations. 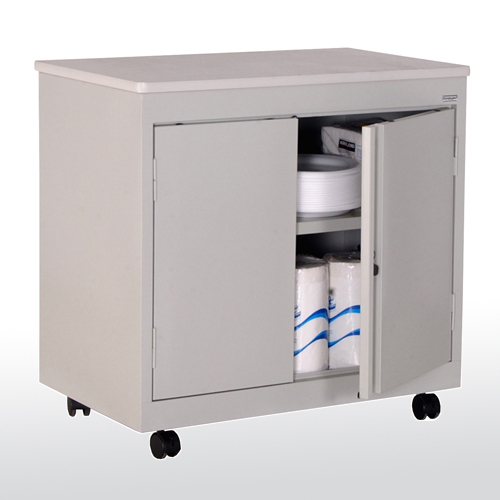 The tambour door can be easily opened and closed to access medical files. 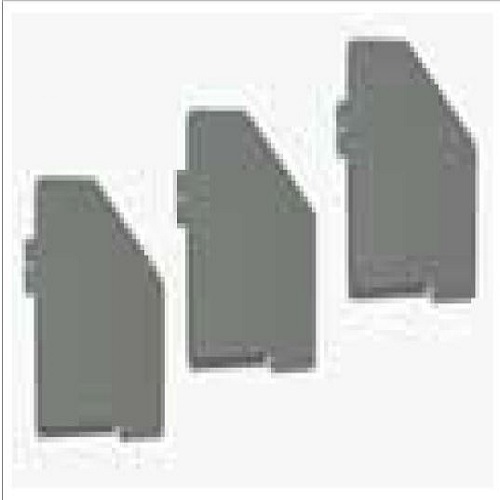 Great for end tab filing. Unit is equipped with only two keys to ensure limited entry. 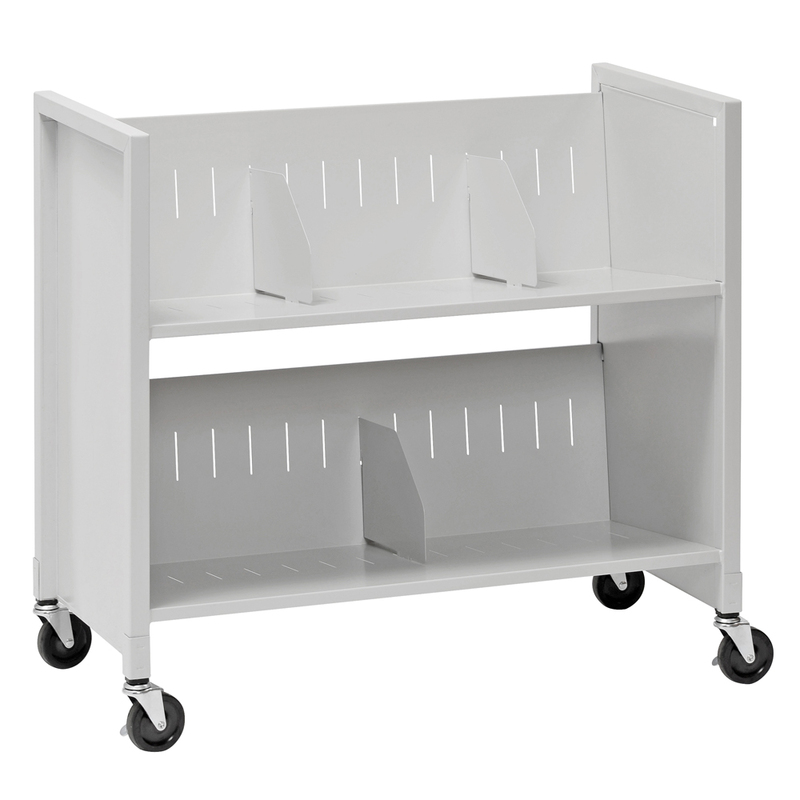 2 sloped shelves, measuring 241/2”W x 111/2”D, offer a generous amount of space for filing. 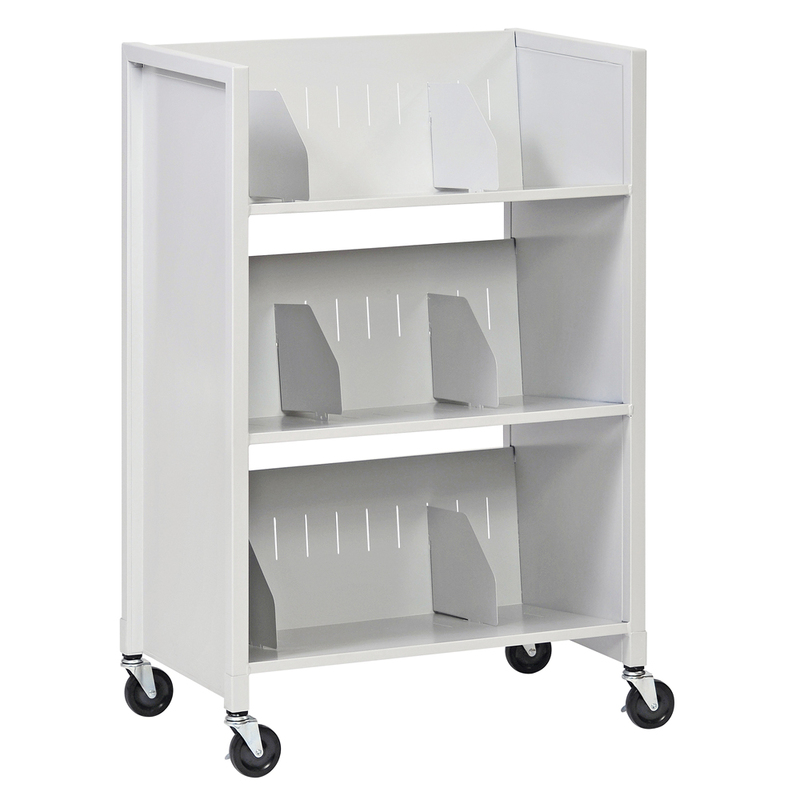 Two moveable dividers are included. Dividers can be spaced in 2” increments. Shelves have 11” clearance. 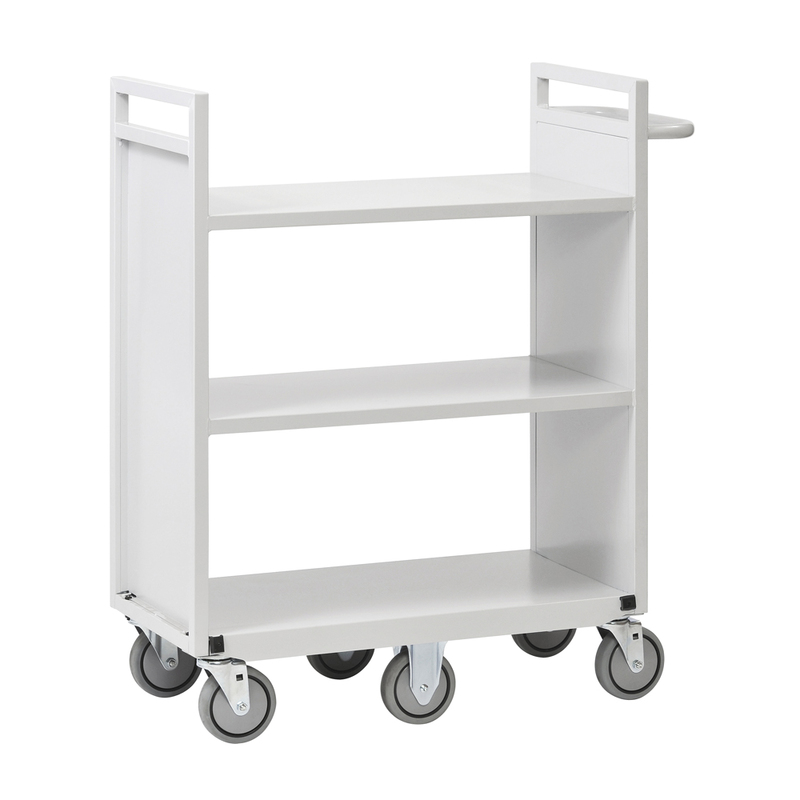 4 casters, 2 locking, make for easy turning and smooth cornering. Assembly required. 3” casters. 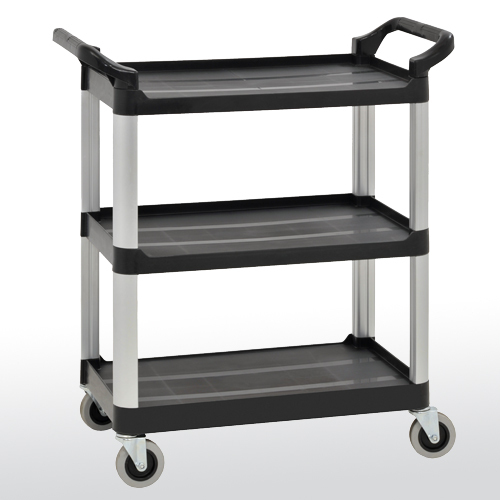 Heavy duty steel mesh deck with 2" high side edges to keep items from rolling off. 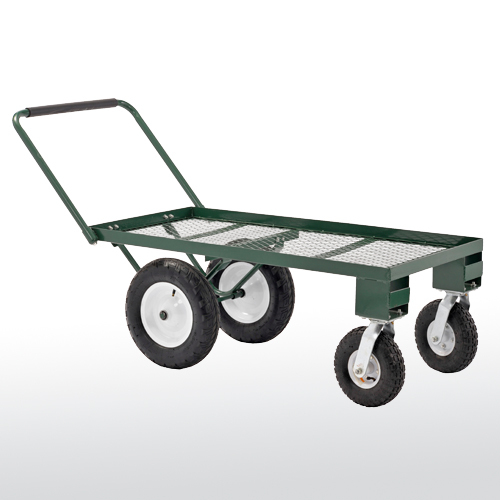 Heavy-duty 4 x 10" pneumatic tires for easy rolling over any surface. Auto-type steering keeps front wheels under corners of steel frame to prevent tipping. Large D-handle for easy grip. Green powder coat finish. 14” overall height. 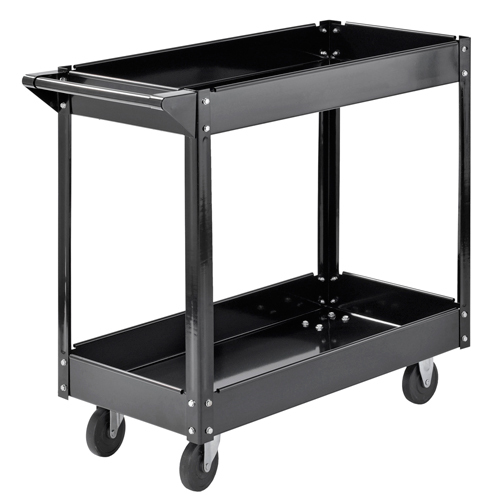 Holds heavy materials up to 1,000 lbs. 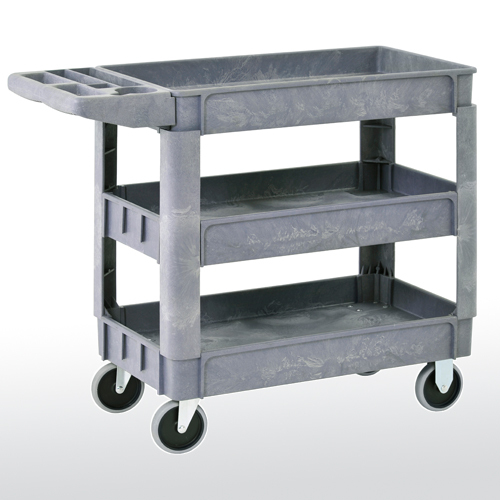 Industrial strength steel mesh deck with fold down sides for easy loading and unloading. Sides can also be removed if needed. Large straight pull handle for easy grip. 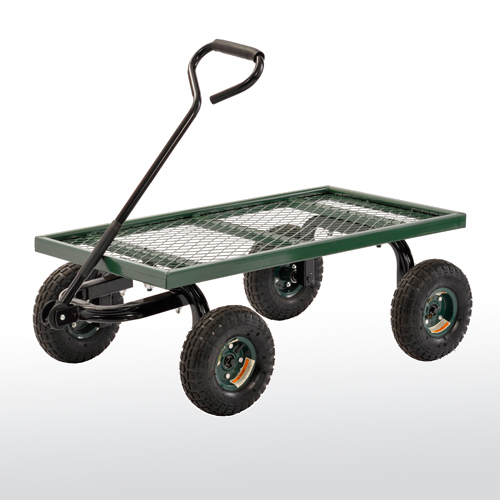 Large 13" x 5 pneumatic tires provide easy rolling. Green powder coat finish. 27-3/8" overall height with sides. 16-3/8"h without sides. Includes a deck liner too keep material from falling through the bottom mesh. Industrial strength steel construction with 1,400 lb. load capacity. 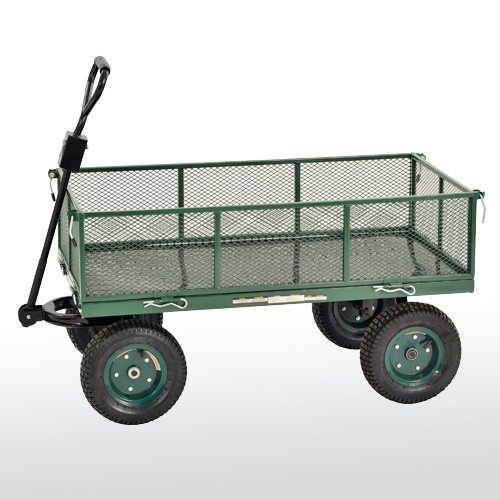 Extra large steel mesh deck with fold down sides for easy loading and unloading. Sides can also be removed if needed. Large straight pull handle for easy grip. 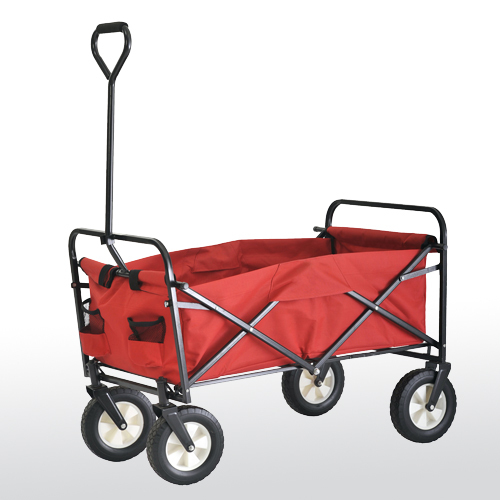 Large 13" x 5 pneumatic tires provide easy rolling. Green powder coat finish. 27-3/8" overall height with sides. 16-3/8"h without sides. 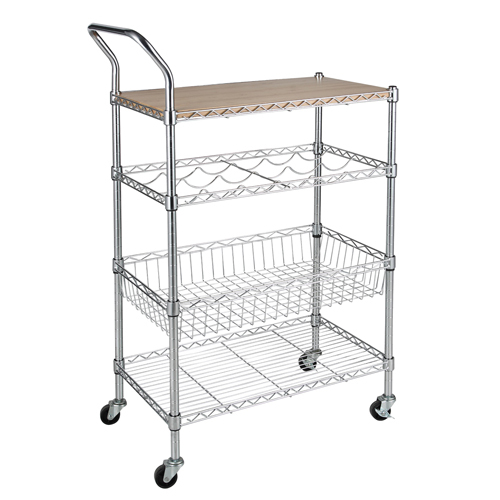 Heavy duty steel mesh deck with 2" high side edges to keep items from rolling off. Heavy-duty 13 x 5" pneumatic tires for easy traction over any surface. Auto-type steering keeps front wheels under corners of steel frame to prevent tipping. Large D-handle for easy grip. Green powder coat finish. 17” overall height. 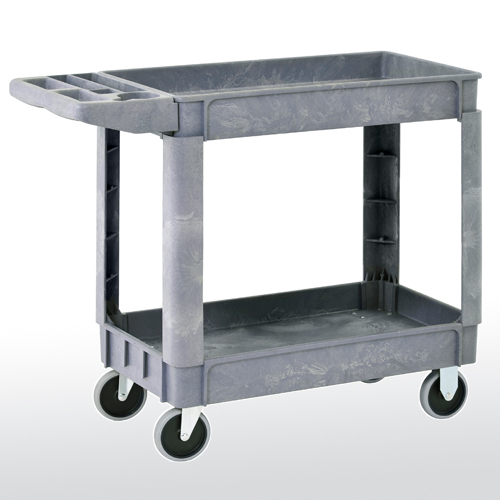 Heavy duty steel mesh deck with 2" high side edges to keep items from rolling off. 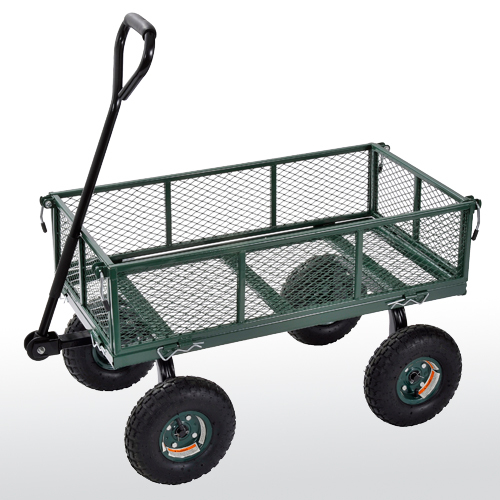 Heavy-duty 10" pneumatic swivel tires for easy maneuverability and 16" ball bearing pneumatic rear tires for easy traction. Large handle with foam rubber cover provides easy grip. Green powder coat finish. 20” overall height. 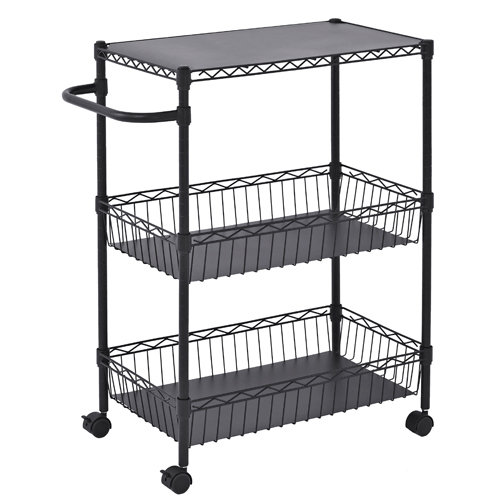 Two heavy duty steel mesh deck with 2" high side edges to keep items from rolling off. 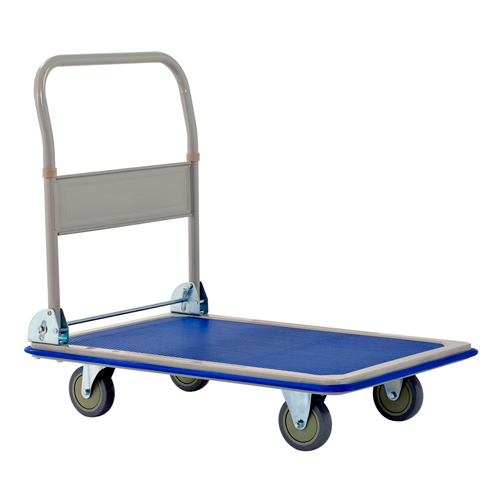 Heavy-duty 10" pneumatic wheels; front two wheels pivot for easy maneuverability. Large handle with foam rubber cover for easy grip. Bottom deck holds up to 330 lbs; top deck holds up to 220 lbs. Green powder coat finish. 33” overall height.